Dove has long shown an impressive ability to have it both ways: encouraging women to respect their natural beauty while also selling them a litany of beauty-enhancement products. Now, the Unilever brand is going even further, essentially saying every aspect of its industry is a scam. 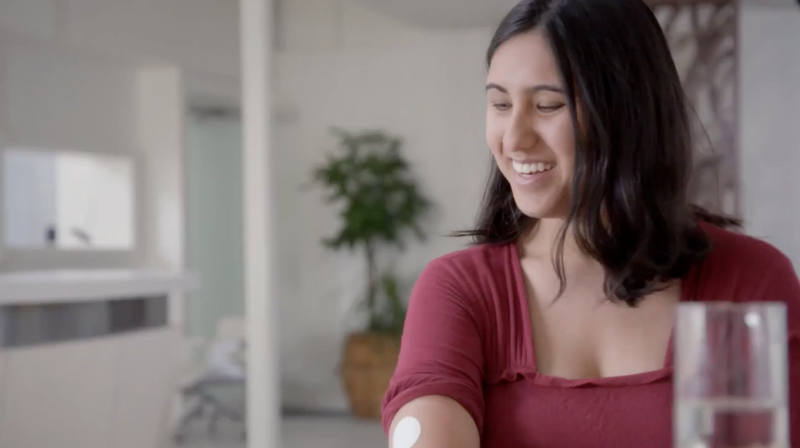 In this new spot—the newest of several marketing stunts inspired by the success of the brand's "Real Beauty Sketches"—we see women being offered an unbranded "beauty patch" that will help them generally look and feel better. Since this is an ad for Dove and not some sort of double-blind lab experiment on the placebo effect, it's easy to predict that the women involved would end up feeling inspired and motivated to toss aside the crutches of products that claim to reduce the impact of aging and other inevitable forces. Sure enough, upon the big reveal that the beauty patch is a powerless MacGuffin, instead of feeling misled or naive, one participant calls it "a life-altering experience." All of the women quickly absorb the lesson, reacting with a lack of bitterness reminiscent of when Dorothy Gale learned she could have left Oz five minutes after arriving. "Knowing that I don't need something to make me feel that way—that it's just who I am and it was hidden and now it's not anymore," says one woman, "that's very empowering." As with many of Ogilvy & Mather's "Real Beauty" projects, this one—which hews closely to the "Sketches" model, complete with the impartial professional who's just conducting an experiment—seems to pose more questions than it answers. Is a woman's self-esteem really so easily influenced that a few weeks of placebo could improve the way they see themselves? Is Dove empowering women or calling them gullible? By illustrating a contrast that anyone could identify with, "Real Beauty Sketches" prompted vigorous debate about self-image versus reality. But in an era where marketers are learning to respect women's intellects and leave condescension behind, will "Patches" be met with anything more than a collective eye roll?